Did the Potato Famine Affect German Cuisine? If there's one thing Germany is known for, it's the seemingly limitless ways in which potatoes are featured in the cuisine. 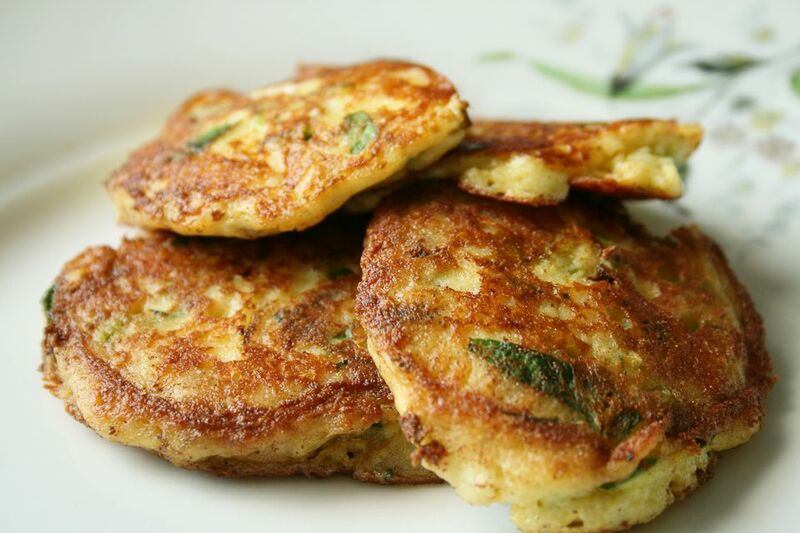 Dampfkartoffeln, stampfkartoffeln, kartoffelpuree, kartoffelklösse, kartoffelpuffer, schupfnudeln, kartoffelgratin, roesti, and kneedeln are just some of the dishes in the German culinary repertoire. Potatoes as a foodstuff didn't appear on German tables until 1716 because potatoes were thought to be poisonous. They became a well-accepted and delicious part of the diet by 1846, the same year as the Irish potato famine. Did the Famine Reach Germany? Yes, the famine extended to Germany although the effects were not as dramatic as in Ireland. Even the poor and the peasants had a more diversified diet than the Irish, so when unseasonal cool and rainy weather hit the whole area of Europe that summer, the potatoes died but the other crops did not. Yields of all crops were lower due to the weather and some unrest came about from the food shortage as well as a cholera epidemic, but that was put to use by the revolutionaries fomenting for a unified Germany in 1848. This led to the very first German constitution and a very short-lived German Empire from 1849 to 1850. There also was a potato famine in Germany during WWI. Early in the war, potato harvests were excellent, but in 1916, the potato blight fungus caused a food shortage which led to decreased military morale and took 700,000 lives in Germany. The means to fight the fungus—copper sulfate—was not being produced and used on the potato plants at the time since all copper was being used entirely for military purposes. This famine helped pave the way for Germany's defeat. The boundless varieties of potatoes in Germany are divided into three categories—festkochend, vorwiegend festkochend, and mehlig, which we in the States would call waxy, medium or primarily waxy, and floury or starchy. Festkochend (waxy potatoes): These potatoes have a low starch content, which means they hold up well after cooking and are ideal for salads like hot German potato salad with bacon or Schwaebische potato salad, salt-baked potatoes, bratkartoffeln or fried potatoes, casseroles, and soups. In the U.S., the waxy types are mostly red potatoes. Vorwiegend festkochend (primarily waxy potatoes): Potatoes in this category have a medium level of starch. They are great for mashed dishes, gratins, and even potato salad. In the U.S., these include the yellow- and white-fleshed varieties, such as Yukon Gold. This is the most-often used potato in Germany because it can be used in most recipes. They're great for bratkartoffeln and potato pancakes. Mehlig kochend (floury or starchy potatoes): These potatoes bake up light and fluffy, mash and purée easily, and break down in soups to thicken a broth and give it body. The best-known potato of this type in the U.S. is the russet. Starchy types are used in German potato dumplings or himmel und erde. Frühkartoffeln (new potatoes): New potatoes exist in all three types of cooking potatoes. Their tender skin makes them a delicacy in Germany where they are boiled in their jackets and served with butter and dill.